We have been developing mobile apps for over 10 years, and it’s totally unacceptable for us to make a product that behaves unpredictably. That is why pumping up our testing team and infrastructure is our top priority. Hundreds of Android devices, newer and older versions of iOS, and a range of display sizes make QA engineers catch bugs both on real mobile devices and on different operating systems. But hardly anyone can run the same manual scenario on 10, 20, or 50 devices. Challenges like this have taught us to automate testing, especially for mobile devices. But let’s keep it real — creating and maintaining the testing infrastructure, even with 20 real devices, is a big headache. Luckily, Microsoft has us covered — their Visual Studio App Center service has a virtual swarm of devices to run QA tests on. In this article, we want to share our experience working with the App Center, and some lessons we learned. Why do we even need it in the first place? Currently, we are working on a shopping platform app. The project has been going on for quite a while: the customer often adds new features and we have been their only developer. The app has over 10 screens: from “Buy Now” to an array of messages, push notifications, and functions like “shop this look”. And every now and then there is an investor demo or a new mall launch, so the sooner we release (without compromising on quality, of course), the better. 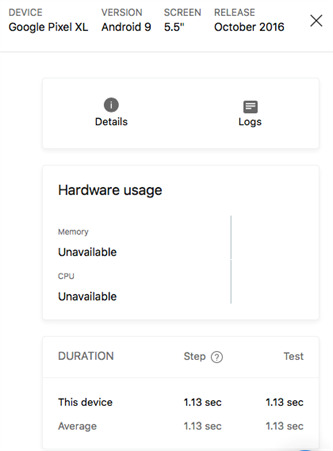 So far, we have been running autotests on a limited range of devices that we had at our disposal (about 30 Android and iOS devices). These days, the number of users has been growing rapidly, and quality is even more crucial. We were confronted with a request to use a cloud service for running automated tests on a larger number of different devices. While developing and releasing, we like to employ all modern and effective practices, such as cross review, continuous integration, automated functional and modular testing on a long list of iOS and Android devices, analytics, and crashlytics. We have used each of these practices before, separately and as a whole. But with a large-scale project and our extended team, we wanted a catch-all solution, a tool that provides all of the above and offers a one-stop service to manage the development and delivery process for diverse platforms. Each role in a team had their own requirements. Developers wanted to stick to an established process (a repository, an automated build tool, etc.) and avoid using unfamiliar and unverified tools in the production. QA engineers aspired to drop the testing load on an array of devices. Managers and the customer aimed for a convenient interface with a transparent workflow to track the progress. Could there be a tool to satisfy all of these needs? In researching available solutions, we considered different options (for example, BrowserStack for Appium tests). Microsoft App Center had a trial period, so we gave it a try and could see what would happen if we cared more about quality and automated the whole mobile application release workflow for any platform with one service. Here’s how it turned out. The same process works for Objective C, see the full manual here. Open the Build tab and select our service, svc. Configuring the build. It is important to sign it correctly, since it generates an app format file that can be run on actual devices. Done! 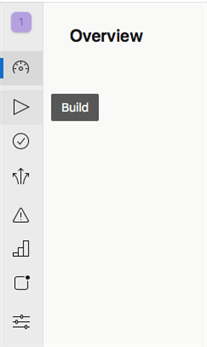 Press “Build Now” button and voilà. The process for Android apps is similar, read the manual here. 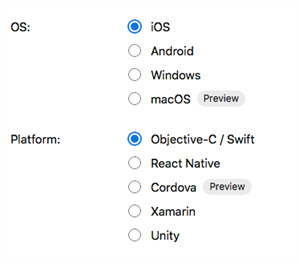 You can include Unit- and native tests for each platform into your build (there’s a tick for that). Let’s look at how automated testing works at different devices in App Center. Open the Test tab and select Device Sets. Let’s make a set of devices to run our tests on. You can choose from over 250 Android devices and over 200 iOS devices (generation version + iOS version). See the full list here. A bit disappointing is the fact that the new Apple devices appear in this list in 1-2 months after the sales start (and that’s the official response). Let’s look how to prepare the tests for upload to App Center (example for XCUITest). App Center allows to build the app only, so test project has to be built locally at your computer or CI. # Generate an XCUITest bundle and your iOS application as described above. First, make sure that your used test framework match the ones supported by App Center. Besides, you must use the driver provided by App Center, and that limits the framework use (for example, you can’t use Google Guice). This code will ensure the enhanced Android and iOS drivers are available at compile time. The enhanced drivers are provided primarily to enable the label feature. See Step 4 for more detail on the label feature. Copy this snippet into your pom.xml in the <profiles> tag. If there's no <profiles> section in your pom, make it. 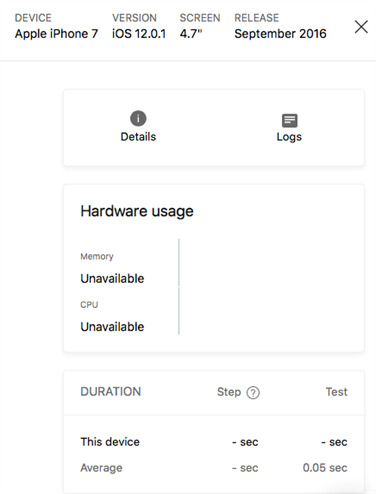 When the profile is activated, it will pack your test classes and all dependencies into the target/upload folder, ready to be uploaded to Test Cloud. Starting with Gradle 3.0, androidTestCompile is obsolete and replaced by androidTestImplementation. Using these drivers will still allow you to run your tests locally without additional modifications, but enables you to "label" test steps in your test execution using driver.label("text"). The text and a screenshot from the device will be visible in test report in Test Cloud. Generate an App Center Test upload command using the instructions at starting a test run. So far, the most significant App Center disadvantage is that you can’t access the “device” to debug and inspect the results. If something goes wrong with the tests and reading logs is not enough, you have to apply to the App Center support — although it would be nice to get access to a URL and a port to connect to the device if something goes wrong, and maybe figure it out on our own. One of the popular services for automated testing on devices, BrowserStack, has this feature included in Appium. 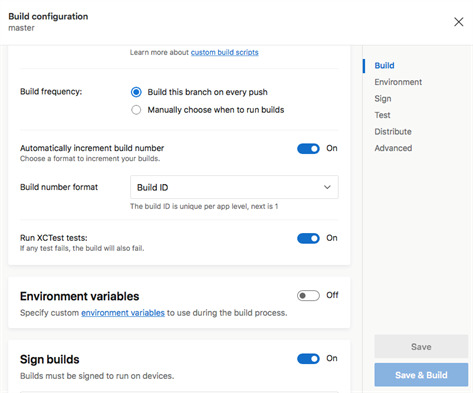 Conveniently enough, all the application release processes, from Continuous Integration to Continuous Delivery, are now in one place: Microsoft App Center offers CI build, test, deploy to store, analytics, and crashlytics. Not being limited by emulators. Microsoft App Center is a nice fit by initial parameters: while not being demanding in terms of integration, it provides all of the functions needed and spares the support routine. We are going to use it for real development tasks as it is a great tool to ensure quality.